New FTU West Coast Tickets on Sale Now! A new Frequent Traveler University Advanced has been added to the calendar with tickets on sale now. (optional) Host Hotel Group Rate: $179/night including full buffet breakfast, book here. There are always grouches on the internet that badmouth these events. I enjoy the events, and we don’t see many of the internet trolls out in the sunshine. DFW FTU and FTU Advanced Going on Sale 12/10 at 11 am Eastern! 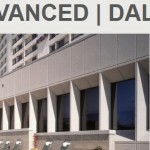 DFW FTU Booking Now Live! Summer of FTU: NY and DC Have Launched!